Down on her luck Kate Appleton walks into Matt Culhane’s office and demands a job since it was his skunk beer keg that had gotten her fired from the only job she could find in Keene’s Harbor and after she was dumped by her husband and fired from her position as magazine editor and has decided to turn her family’s lake side cottage into a bed and breakfast she needs every penny she can scrounge. Matt is intrigued by the feisty woman and decides to hire her, he has had a run of “accidents” and needs someone inconspicuous to spy for him and Kate seems perfect for the job, and if she can find the culprit then he will give her a bonus of twenty thousand dollars. 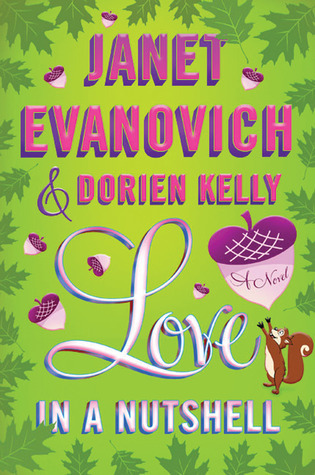 These two authors have managed to produce a fun and witty novel full of love and laughter. Not only do these two bring together a flirty romance but I love the dogs in the story with Matt’s three-legged mascot to Kate’s spoiled miniature poodle, I don’t think the story would have gone quite so well without them. This contemporary romance will surely leave you giggling as you follow along on some of the best antics that have been compiled into a beautiful love story. Super smart sixteen year old, Claire Danvers, is a misfit through and through especially considering the fact that she is a freshman in college. Soon after she starts her new life in Morganville Texas she bites off more than she can chew when she insults Monica and her gaggle of followers who are now out for her blood. After Monica pushes Claire down a flight of stairs she decides she must leave campus and find somewhere else to stay otherwise she may end up dead next time. She soon finds an add that takes her to a house that is best described as “Gone with the Wind meets the Munsters” and three new roommates each eccentric in their own way. Shortly after she moves in she discovers that Morganville is more than just the party town that it seems and is full of dark and dangerous secrets. 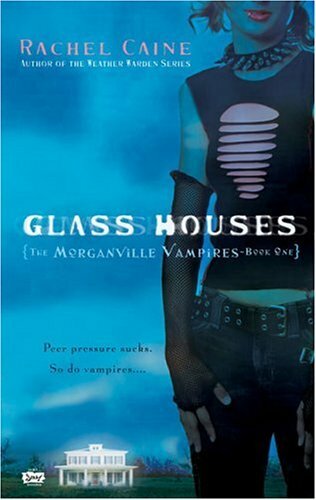 Ok so when I first heard about this novel I thought “Young adult romance called Morganville Vampires, another typical vampire romance, Skip it!” Once I started reading this novel it took me completely by surprise, not only is the vampires the bad guys in this book but it surrounds an entire town controlled by vampires and the humans know and most are under a vampire’s protection. After I read this I was hooked, I could not get enough of this novel with its witty repartee and a storyline like this it is an amazing read. Be forewarned this book has one heck of a cliffhanger so have book two ready to continue on! After a night of bar-hopping with her friends Thirty-Six year old Irene gets into her car and starts to drive home, when she wakes up she is on the side of the road and she soon realizes she has been gone not just over night but for days. When she is wandering around she runs into a fourteen year old boy who explains to her that she is actually dead. Now Irene is determined to find the “tunnel” and make her way to heaven. This is an interesting look into a ghost story, it is not scary it is more of a dramatic novel than anything else. The only problem I had with this novel is the May-December romance. I am not sure the author initially created a romance between the fourteen year old and the thirty six year old but when you have them “joking” with each other and it ends with one or both of them blushing and looking away that scream flirting, add in how Jonah gets highly upset when she gives attention to anyone but him, and how “over protective” he is it screams romance. Besides this you have an arrogant woman who has to reevaluate her entire life and come to terms with the position she has found herself in it is a great novel. This novel revolves around three stories. First you have Charlie who is a successful model then one day she is brutally attacked leaving her in the hospital. Second you have Naomi, a Jewish survivor of the Holocaust working on a dig in Israel when she comes across a picture of a woman in a magazine who must be one of her long lost daughters. Lastly but not least you have Jack who spends his days romancing and swindling women in Buenos Aires after he faked his own death leaving Charlie to fend for herself. As Charlie recovers she begins to help the investigators find her attacker, being pulled once again into a scheme of art forgery. This is an interesting novel not only bringing to life several places around the world but also creating an interesting and dysfunctional family dynamic full of drama. There is so much that happens in this novel but it isn’t over-whelming in its execution it only succeeds in keeping you wrapped in the story until the very end. With Charlie being attacked, Jack trying to survive the only way he knows how, and Naomi who struggles against her feelings each moment you will be drawn further into an intertwining story. 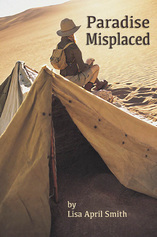 Though there is less romance in this novel than in the first it is highly dramatic and involving, as the character focus is less on Charlie and more on her parents. When you add in the suspense with the drama and mystery you have a brilliant book that will take you around the world and back making you anxious for more! When five eighth grade students get into a food fight at school none of them thought it would lead on an adventure through time, the five students are sentenced to yard duty as punishment for their crimes shortly after they arrive at Melody’s home the stumble upon an arch that was buried in her back yard. 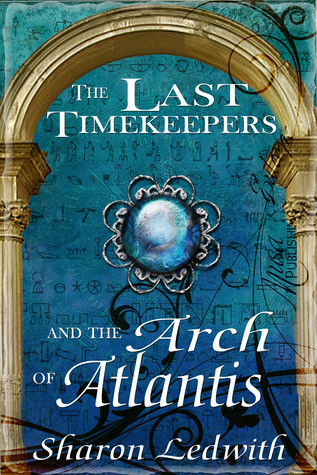 Once they excavate the mysterious arch they are whisked away to Atlantis where they meet up Lilith who is in charge of keeping watch over the gate, she informs them they are the last timekeepers and must travel through time to stop an evil magus from changing time. Not only is this an original novel in itself but also a retelling of a classic story, Robin Hood, as the teens travel back to Nottingham on their search to stop Belial. The author does a wonderful job in crafting this novel, blending the two stories seamlessly such as when you think the timekeepers are going to inadvertently change history themselves the author weaves the story back to the original. The only problem I had with this novel is in the beginning when we are getting to know the characters. The author would call them by their first name and a paragraph or so later start using their last names to refer to the characters, as she is building the foundation of the story I would get lost thinking, “Okay, who is Treena and Mui?” when they are actually the same person. So be sure to pay attention to the characters last names as you go along, other than that this was a great young adult novel, it was highly unique and entertaining to read. reflections of a bookworm · Where Books Come to life and I do my best to tell their stories.